Southwest corner from L Street NW. Construction has wrapped up at Midtown Center, an office complex in downtown Washington, D.C. 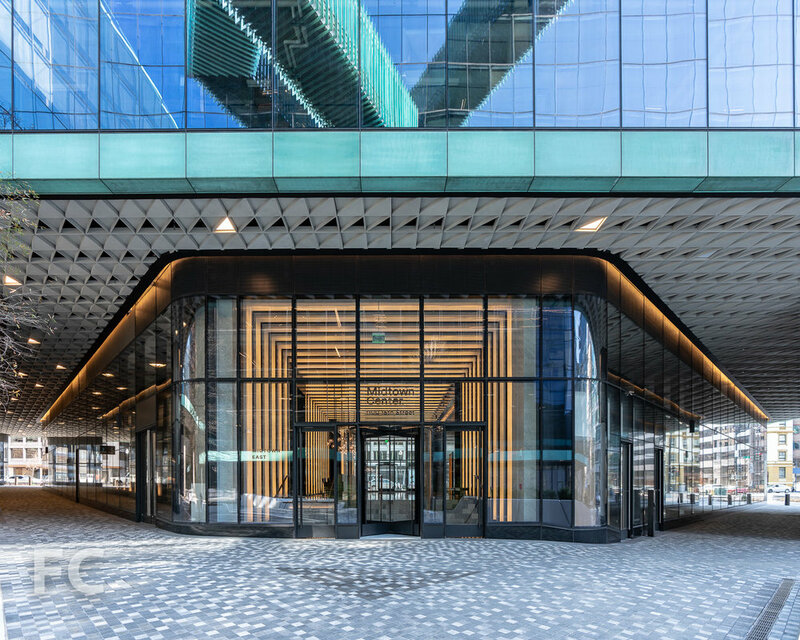 Developed by Carr Properties, the 12-story, 862,000 RSF complex is built on the site of the former Washington Post headquarters. Southeast corner from L Street NW. 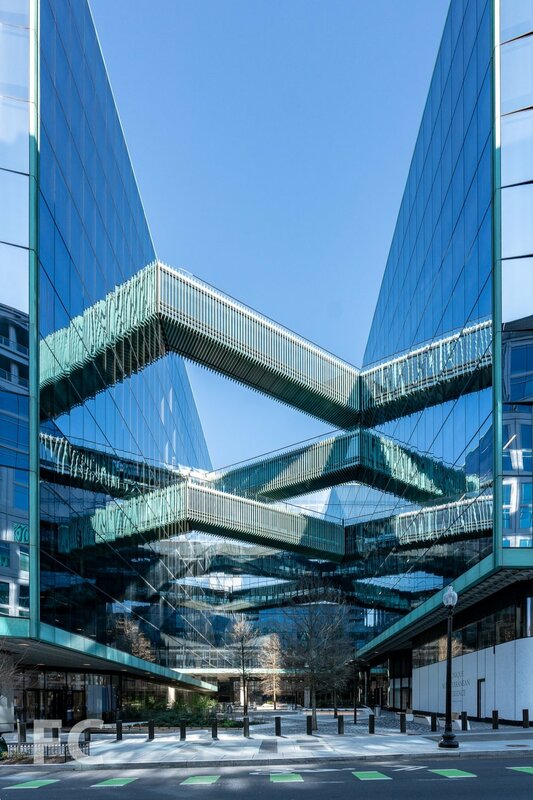 SHoP Architects has designed the complex with a c-shaped footprint, with retail wrapping around a public plaza and office floors above. The east and west office blocks are connected by a network of pedestrian bridges at multiple floors. A 5,000 SF rooftop terrace and shared conference space caps the office building. Close-up of the west façade of the west tower. 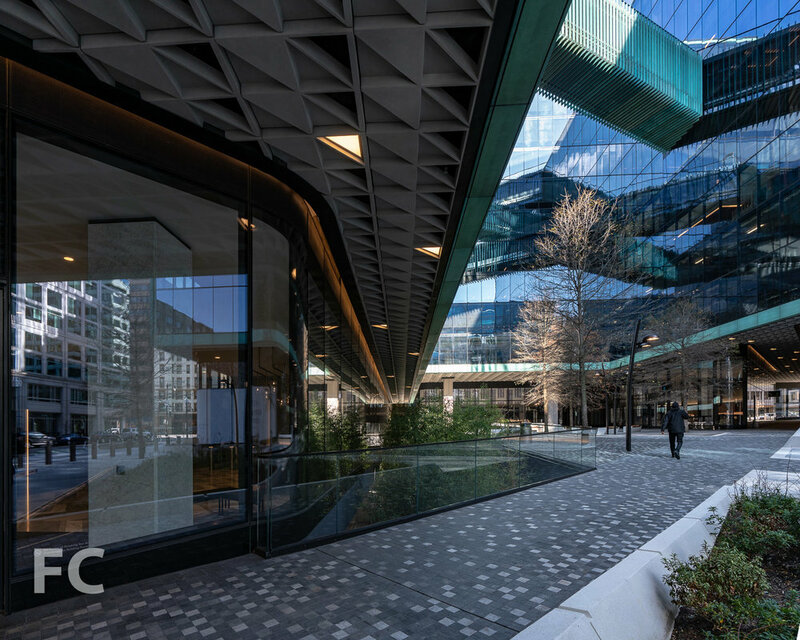 The office block is clad in a glass-and-copper façade designed with panels that gradually rotate outward to provide solar shading without compromising views. Over time, the copper elements of the curtain wall will gradually patina. Criss crossing pedestrian bridges above the public plaza. Detail of the pedestrian bridges. Pedestrian bridges connecting the east and west tower. Architect: SHoP Architects, WDG; Landscape Architect: SCAPE; Developer: Carrr Properties; Program: Office, Retail; Location: Downtown Washington, D.C.; Completion: 2018.